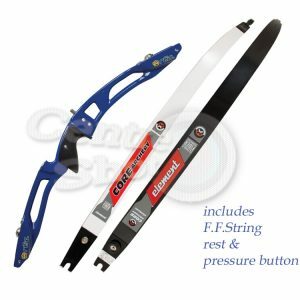 At CENTRESHOT we always try to help our newest customers to buy their first starter bow and all the equipment needed. We have recently found that new archers sometimes only wish to buy a bow and leave other items till later. 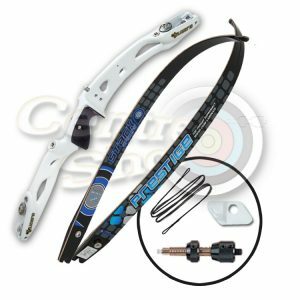 To that end we have put together some risers and limbs that we feel go together well and give the archer a bow at the best price we can. After novice archers have completed a beginners course using a wooden trainer bow, many of them wish to go on to an international fitting limb and metal riser. 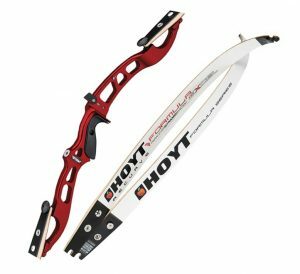 These are the intermediate bows and will help the archer move on and improve. We will always be available to contact us if you wish to ask a question or for help in purchasing other items on our CENTRESHOT website.